The Official Music Showcase Pre-Party this year will be held at Larimer Lounge! Join us on Friday, June 17 for the official kick-off party to Westword Music Showcase weekend. 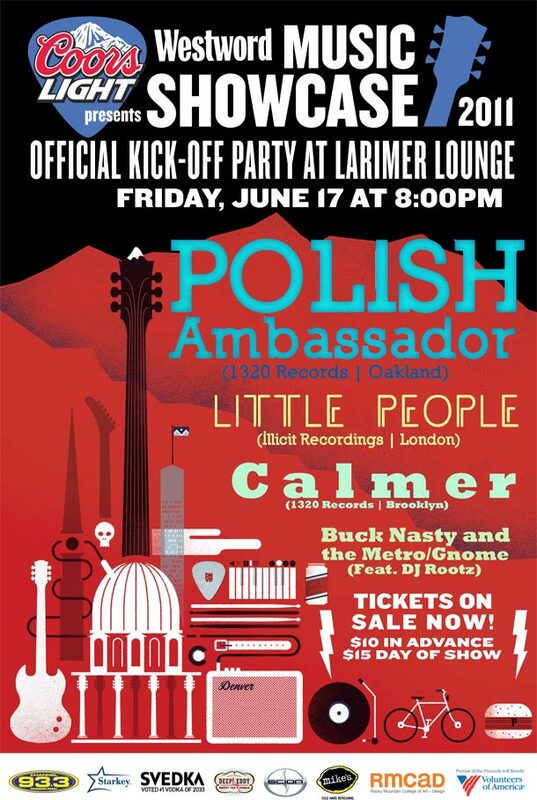 The evening will feature live performances by Polish Ambassador (1320 Records) with special guests Little People, Calmer, Buck Nasty and the Metro/Gnome! *Tickets to Music Showcase will be available at the door* This is a 21 and over event, doors will open at 8:00pm with the show starting at 9:00pm.